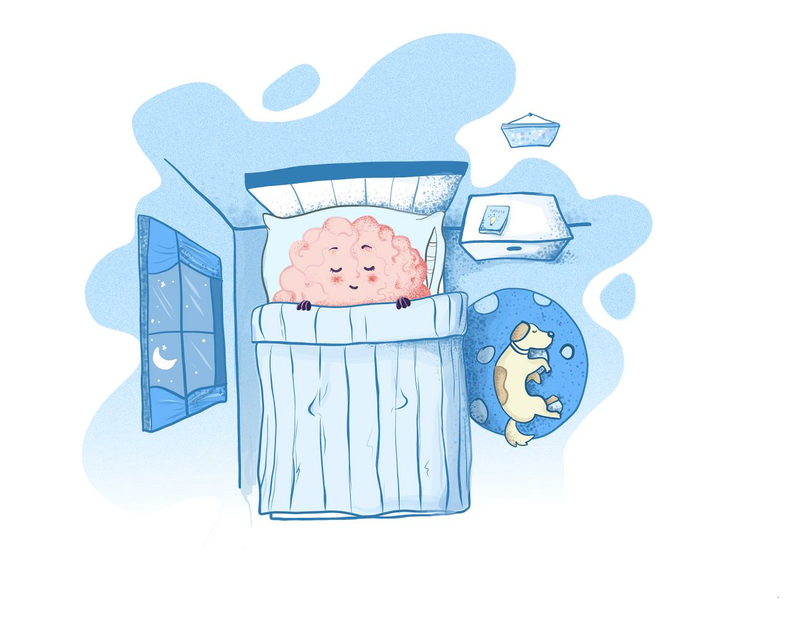 While you sleep, your glymphatic system shampoos your brain. It gives it a good cleaning and eliminates any toxins or bad stuff that has managed to slip in. Of course, your brain is performing an endless number of other functions as well. But the cleaning function is different in that it only is performed while you sleep. And if you don’t sleep enough, well, you’re trying to do your waking tasks with a clogged-up, messy, dirty brain. It is possible- although speculative at this point- that there may be a link between inadequate sleep and Alzheimer’s disease. How much sleep do you need? We came across a newsletter from the Cleveland Clinic with some information on appropriate amounts of sleep that referenced guidelines from a variety of sources including National Sleep Foundation, American Academy of Pediatrics and the American Academy of Sleep Medicine. Obviously, infants and babies sleep most of the time, furthermore, they need to. Toddlers (ages 1-3) need 12-14 hours. Preschoolers need 11-13 hours, which usually will include a nap. Children 6-12 need 9-12 hours. When they become teenagers, as a friend of ours says: the hormone storms hit. Dramatic change happens to teenage brains and bodies, and they need 8-10 hours of sleep a night as a result (other research indicates most teenagers aren’t getting nearly that much). Adults 25 -64 need 7-9; seniors 7-8. Note that for adults, sleep under 6 hours isn’t healthy, nor is over 10 hours. Similarly, for seniors, less than 5 hours or greater than 9 isn’t healthy. We offer silky-soft over-sized sleep masks for those who have trouble falling asleep. And fragrance kits like lavender, jasmine and vanilla that may help you relax and drift off for that brain-cleansing 9 hours. After Black Friday and Cyber Monday, supplies of some of our best sellers are already low. It’s a good time to go shopping and avoid that last week stress. Coming soon: our book on brain health.